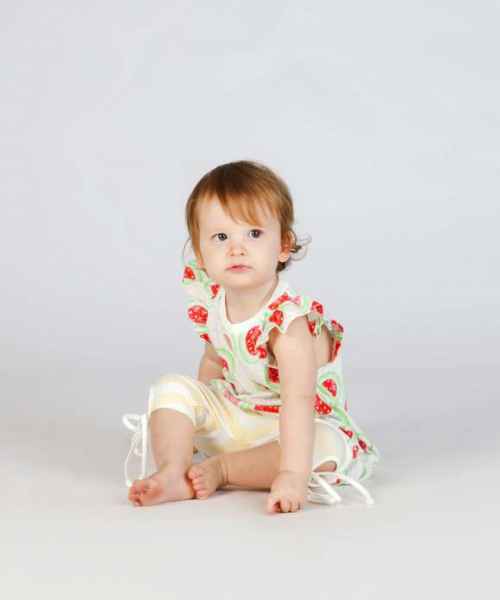 This organic cotton toddler dress set features an adorable ballet bunny with comfortable yellow striped leggings. 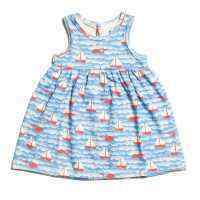 This precious infant and toddler girls dress features 100% organic cotton knit fabric, and the leggings feature 95% organic cotton and 5% elastane fabric. This vintage style baby and girl outfit set comes with the bunny dress and striped leggings in the first photo. 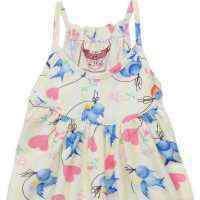 For a different look, this organic children's bunny dress also looks good worn with bare legs. The versatile leggings look cute with a number of other tops and dresses. We love the leggings with our vintage dog and cat tee, and also with our robins tee and yellow skirt set; those items are all available in the "You might also like" section. The organic cotton dress in this eco friendly clothes set features cuffed sleeves and an ever so adorable bunny dancing in ballet shoes while wearing a pretty aqua dress with flowers. 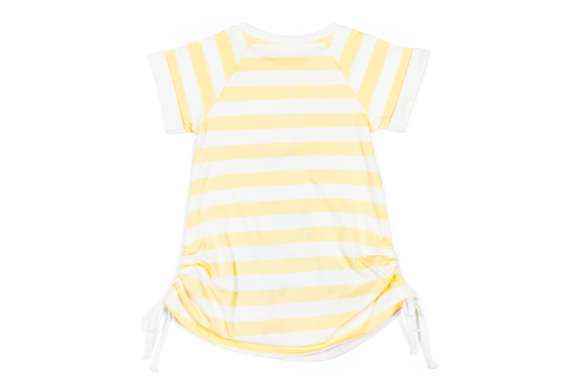 The soft children's dress features a fun yellow and off white striped back and sleeves, with ruched sides that tie into bows. 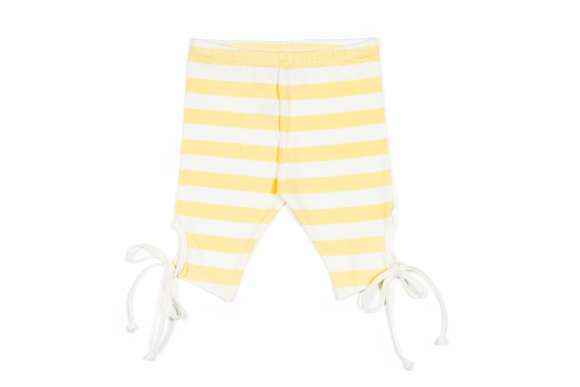 The soft environmentally friendly leggings feature yellow and off white stripes, ties that tie into bows on the sides, and a comfortable stretchy elastic waist. 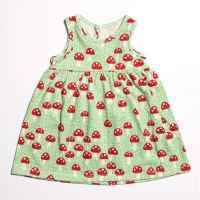 This organic cotton toddler dress set is perfect for parties and comfortable enough to wear any day. 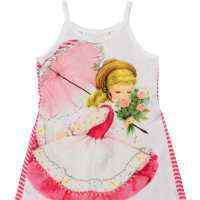 This infant and toddler girls clothing set makes a super sweet baby girl gift. 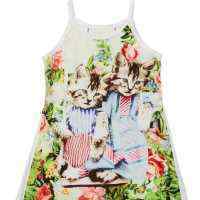 Also, it can be hard to find clothes for toddlers that they love and that you approve of. 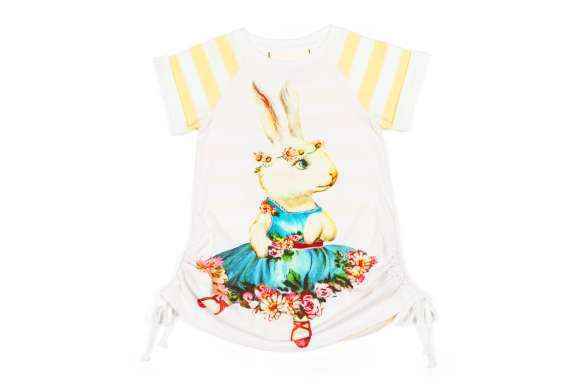 This dress set is sure to please with its precious ballerina bunny and fun stripes. You can feel great about your baby or toddler wearing our eco friendly clothes because they feature cotton raised without any chemical fertilizers, so they will not irritate delicate infant and children's skin. There is no need to fret over pulling together a super cute outfit for your little girl, as this organic cotton toddler dress set comes perfectly coordinated and ready to throw on her.